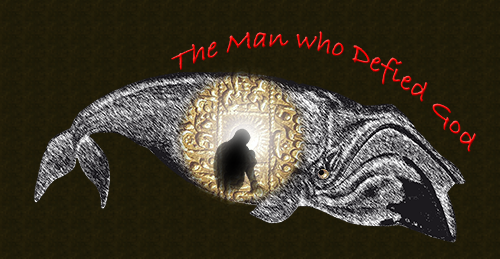 The Man Who Defied God is the third in a series of original mystery plays written by Paul Dedell, and tells the complex story of the prophet Jonah. Although the story of Jonah is set in the ancient Middle East during a time of conflict between the Jews and the Assyrians, the political and social conflict that is at the heart of the story is startlingly contemporary. Jonah, an ordinary Jew, was commanded by God to bring a message of mercy and forgiveness to the enemy Assyrians in order to prevent them from ultimate destruction. Jonah runs away because he cannot bring himself to extend compassion to a people he hates and who hate him. The Man Who Defied God follows Jonah on his journey through stormy seas, the belly of the whale, the fiery heat of the desert; witnesses his encounter with giant plants and devouring worms; and witnesses his struggle as he wrestles with God’s mandate to show love for those unlike him. Paul dove into the story of Jonah with relish. Intrigued by the story of a man of faith who attempted to hide from God, he began writing the piece last fall, and discovered a lot about the story — and maybe himself — in the process. The message of the story is as timely today as it was thousands of years ago. We have a lot to learn from Jonah!